Uprisen | The blog dedicated to bringing you the latest information regarding Kid Icarus: Uprising! 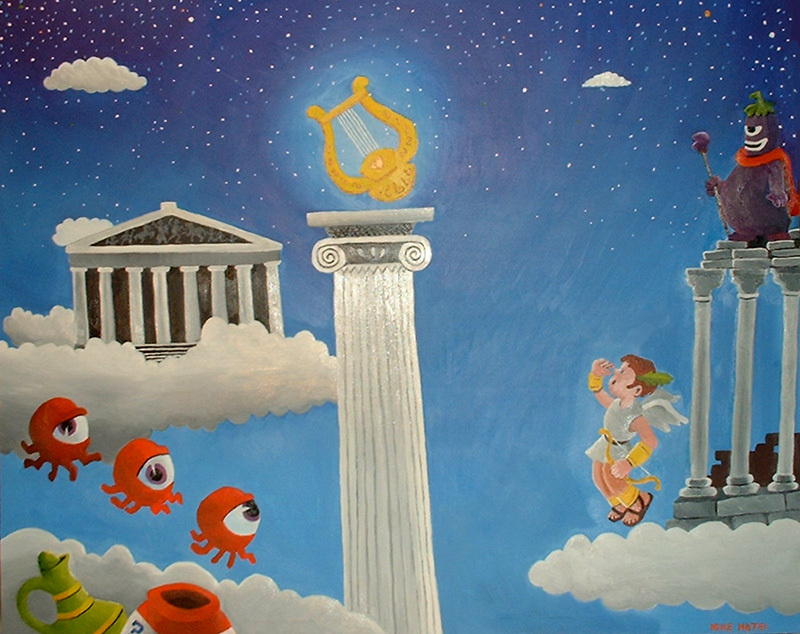 The blog dedicated to bringing you the latest information regarding Kid Icarus: Uprising! There have been many times when Kid Icarus news has appeared and I considered sharing it through Uprisen; but honestly, I’ve left the site behind me for the time being. You can probably tell, considering how dead it’s been for the past several months. I really wanted to continue Fan Art Friday, but there were certain complications that didn’t allow me to do so. However, just this once I found a piece of news that I knew I had to share with you all. 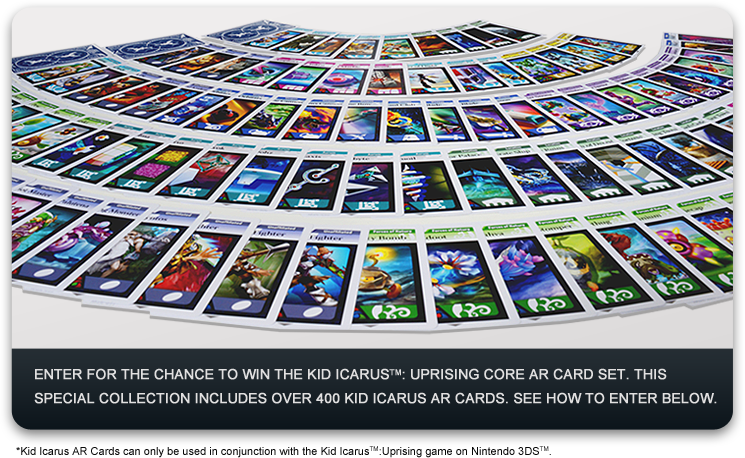 Club Nintendo is hosting a sweepstakes for the United States and Canada, where ten owners of the game will win a pack of over 400 Kid Icarus: Uprising augmented reality cards. This is just, let us say, awesome. You can check more information here, and the official rules here. Due to certain complications, I may need to discontinue Fan Art Friday. Do any readers have any specific objections to this? It was announced a few days ago that Project Sora, the development team behind Kid Icarus: Uprising, is now dissolved. This is both confusing and disappointing, as nobody really knows why it happened. Uprising was the only game Project Sora made during its existence, and this is sad, as many people have been looking forward to whatever games the company would have made in the future. Here is an absolutely gorgeous picture of Palutena, the Goddess of Light, who guides Pit through his many adventures. I couldn’t find the original source for this image, so if you know where it is, please send me a link. This was one of the coolest parts of the game. When Pit and Dark Pit were fighting side-by-side in the Chaos Vortex, soon before fighting the notorious Chaos Kin, they suddenly started alternating back and forth for their “pre-boss battle cry.” In short, it was hilarious. One of many instances the game throws something random like that at you through the brilliant dialog. And no, the characters weren’t actually wolves in the game, but that’s one of the reasons why this is called fan art. Pit (and other Brawl characters) Confirmed for the next Smash Bros.
You can also see a Pikmin, which implies that Captain Olimar will once again be returning to battle. However, as was mentioned at E3, Olimar will not be one of the four playable characters in Pikmin 3, so perhaps the reason a Pikmin is in the picture and not Olimar himself is because Olimar won’t be returning—and one of the new characters will make a debut. That’s just some speculation, but who do you want to be in the next Smash Bros.? Any new characters from Kid Icarus? Fan Art Friday was skipped yesterday due to the fact that the writer of Uprisen almost died. Not literally, but everyone almost wants to die when they’re detasseling. Anyway, to make up for it, here’s an awesome sketch image by DeviantArt artist KyuubiGemini. Make sure to also view it in full size.